When Ethiopian marathon runner Feyisa Lilesa crossed the line to take a silver medal in Rio, it should have been the defining moment of his career. His previous best moment had come when winning bronze at the 2011 World Athletics Championships in South Korea. In Brazil on Sunday, he became the first Ethiopian to finish in the top two of a men’s Olympics marathon since 2000. But the greatest sporting achievement of his life will forever be overshadowed by the political protest he made just yards before the finish line, and which Mr Feyisa carried on into his post-race celebrations and press conference. Given that Rule 50 of the International Olympic Committee (IOC) bans political statements of any kind, there was the possibility that the 26-year-old would lose his medal. Fortunately for Mr Feyisa, the IOC has decided to give him only a slap on the wrist. “We spoke to the athlete and reminded him of the Olympic Charter,” its media office said in an email to the BBC. 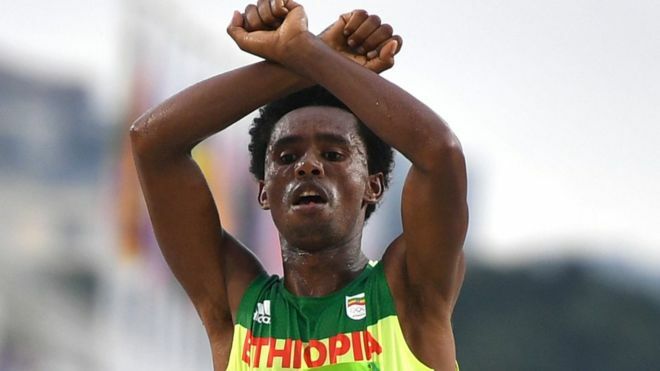 When he raised his hands in an x-shaped fashion over his head, he was showing solidarity with the Oromo people, who have suffered a crackdown at the hands of the Ethiopian government. 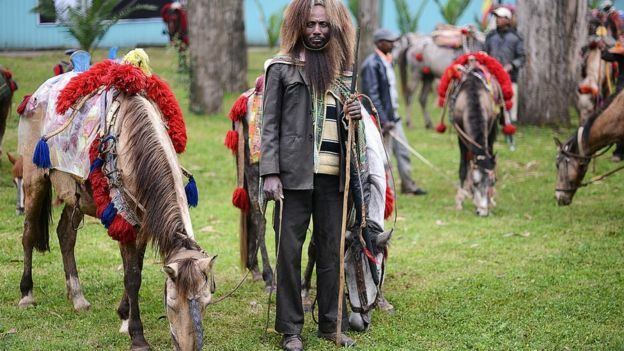 Rights group Amnesty International says that 97 people died when “security forces fired live bullets at peaceful protesters” in different towns and cities in the Oromo region earlier this month. The government blamed “foreign enemies and social media activists” for the unrest, saying protesters destroyed property and were responsible for the deaths of innocent people. Mr Feyisa was born in Ambo in Oromia, the largest region in Ethiopia, and a flashpoint for protests for the last 26 months. 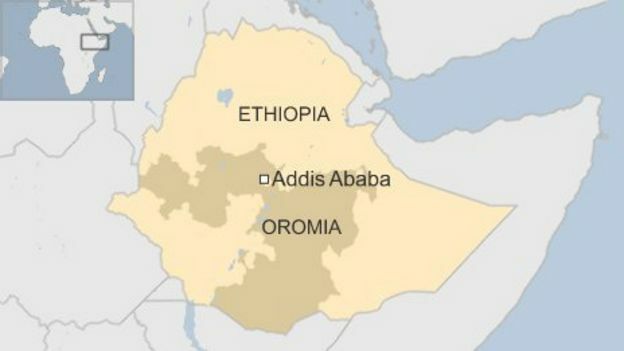 The town is some 125km (80 miles) west of the capital, Addis Ababa, where his wife and two children are currently located, prompting Mr Feyisa to reveal fears for their safety. 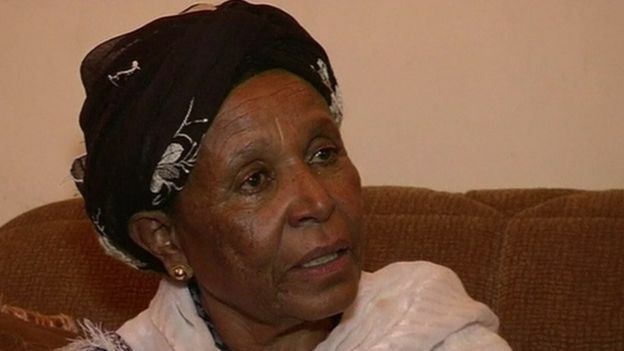 Speaking several days after the marathon protest, his wife, Iftu Mulisa, admitted she was now concerned for her family’s security. “I was very scared at the time but I wasn’t surprised because I know him,” she told the Reuters news agency. 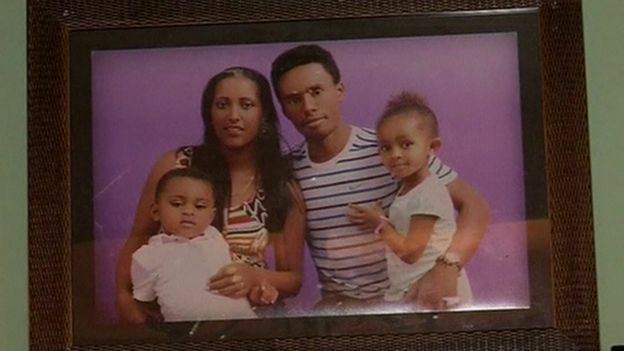 Mr Feyisa has also expressed fears for his own life. “If I go back to Ethiopia, maybe they will kill me, or put me in prison,” the athlete said, during a news conference in which he discussed the significance of his very public protest just hours earlier. Despite the government saying the runner would be welcomed home from Rio de Janeiro as a hero, he was conspicuous by his absence when the Ethiopian Airlines flight landed in Addis Ababa with Almaz Ayana, Tirunesh Dibaba and the country’s other medallists on Tuesday night. His mother, Biritu Fulasa, told Reuters she did not want him to come home. “Do you really believe what the government is saying? “I was crying too much the other day but now I am feeling better. I want him to stay there. I wish him well,” she said. Now the athlete is effectively on the run – holed up in Rio as a team of lawyers help out with his asylum bid. Legal fees are notoriously expensive but Mr Feyisa can be soothed by knowing that he has at least $125,000 (£95,000) to call upon after a funding page raised in his honour raised that amount in its first two days (the original target was just $10,000). His relatives have suggested that the runner will seek political asylum in the US, but whichever country he ends up in may well find they have a top-level marathoner competing for them in the years to come. It is a discipline which athletes often turn to towards the end of their careers as they do not have to be young to excel in it, unlike some other events. This year’s Olympic champion, Eliud Kipchoge of Kenya, is 31 while his compatriot Dennis Kimetto was 30 when he set the world record in Berlin two years ago. Feyisa first burst into the limelight when winning the 2009 Dublin Marathon on his race debut, aged just 19. A year later, he became the youngest man to run a marathon in under two hours and six minutes as he flew round Rotterdam. At just 26, he already has a wealth of experience behind him – with 17 international marathons under his belt, including a second place in the prestigious Chicago Marathon in 2012 and a triumph in Tokyo earlier this year which qualified him for the Olympics. Although he came nowhere near it in Brazil, Feyisa’s personal best of 2:04:52 is better than the world record held by Kenya’s Paul Tergat between 2003 and 2007. He certainly has endurance abilities which will come in handy as he embarks on a marathon of a very different nature – finding a new home for himself and his family.